“I started playing handball at a young age. Playing against a concrete wall anywhere, any time and devoting several hours a day to perfect my game.” In the sport, there was both individual play as well as team play (doubles and mixed doubles). There was no seeding by age, rather all seeding in handball was just based on skill. “While I played handball [for many years], I watched plenty of tennis to incorporate the style into my game of pickleball. I love pickleball because it’s a social sport. The players are amazing and different.” In addition to the camaraderie shared between the players, Yolanda greatly enjoys the increased travel destinations and tournament opportunities that the sport of Pickleball affords. She added that sometimes “you don’t know who’s coming to play” and that can make it all the more intriguing to attend new tournaments. She played in her first senior state tourney after only two months and earned three medals (two gold & a bronze). The addiction was real. 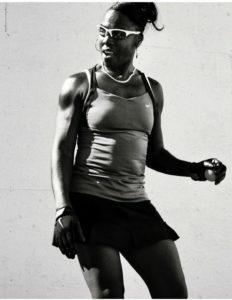 After only eight months of playing the game, Yolanda was offered the opportunity to become an ambassador for the sport of Pickleball. Three months after that came a sponsorship offer from Onix. 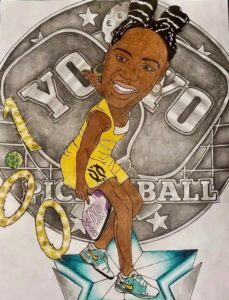 In less than a year, YoYo had become a sponsored player & ambassador for a sport which she had never played before. “My husband was deployed overseas to Kuwait in January of 2018. He told me to play as much pickleball as I could to get my mind off things, so that’s exactly what I did. 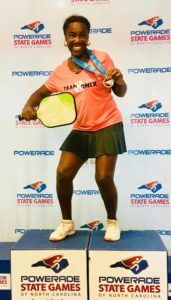 I traveled to 28 states (NC three times) and played in between 36 and 40 tournaments (including the Powerade State Games).” She won Bronze in mixed competition at the US Open Pickleball championships in Naples, FL. 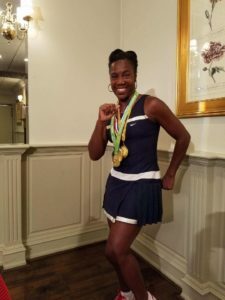 She followed that up by winning the Gold in singles at the Nationals in Palm Springs, CA at Indian Wells. “I was given a challenge as a new person to the sport to win 100 medals. 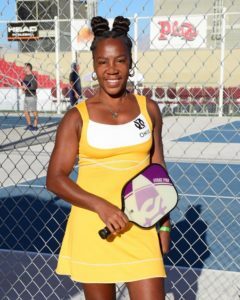 I won 100 medals in one year from January 2018 through January 2019.” She won the 99th & 100th medals while competing in California at the Tustin Pickleball Classic. 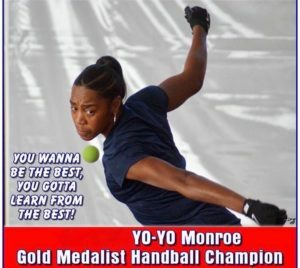 YoYo Monroe will be returning to the Powerade State Games this June with plans to claim another gold medal. 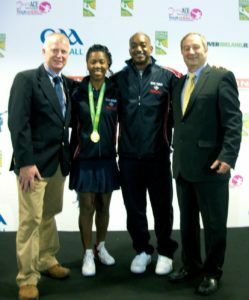 She will also be attending the Senior National Games in New Mexico the week after the Powerade State Games where she has qualified for all three categories of the competition and will compete in mixed, doubles and singles play. She is a great ambassador for the sport! I had no idea how impressive her background before joining the Pickleball World. Thanks for this view.